World Health Organization members in committee this week took note of a report by the Consultative Expert Working Group on Research and Development: Financing and Coordination (CEWG), which was set up to find ways to fund research on diseases afflicting poor populations which have little market incentive for the private sector. The report included a proposal for a voluntary pooled fund that would focus on the development of effective and affordable health technologies for such neglected diseases. The report requested at last year’s Assembly includes a description of a pooled fund for voluntary contributions towards research and development (R&D) which WHO is exploring. The report states that the WHO Joint Coordinating Board of the Special Programme for Research and Training in Tropical Diseases (TDR) will be responsible for the oversight of the funding mechanism. TDR also will oversee a Global Observatory on Health R&D, which WHO said this week is expected to launch in January 2016. In addition, under the CEWG, several “demonstration projects” are being identified and implemented to put R&D financing models to the test. The CEWG is part of a long effort by WHO members to take the necessary policy actions to make medicines affordable worldwide. Under the existing R&D model, companies exploit their patent monopoly to price medicines at high rates in order to recover their R&D costs, something they cannot do if the market for a particular product would be poor people who cannot pay the high prices. Financial sources of the voluntary fund remain uncertain. The report states that the premise for the establishment of a pooled fund and the observatory depends on the availability of new funds. Several countries have pledged funds towards R&D demonstration projects and the observatory. Current donors are Brazil, France, India, Norway, Switzerland and South Africa, which announced a US1 million contribution this week. The total estimated need for the observatory and the demonstration projects is US$85 million and the current gap is over US$76 million, according to WHO. The full amount does not need to be find right away, and donor momentum is gaining, WHO Assistant Director General Marie-Paule Kieny told Intellectual Property Watch. The estimated budget breaks down as: $73.5 million for five R&D demonstration projects, and $11.5 million for the observatory. Of the $8.830 million already donated, all but $40,000 is given for unspecified use, giving flexibility to the WHO secretariat in its use. The financial management of the fund is envisaged to be the responsibility of TDR. It is unclear what impact this effort on a voluntary pooled fund will have on an outstanding proposal to create a treaty or instrument for R&D. TDR was established by WHO in 1974 as a Special Programme supported by pooled funding. According to WHO, TDR is commissioning three studies to help to identify how to set up this new global fund for R&D and identify what is needed both financially and operationally. These studies will inform a business plan to be developed in 2016, according to the WHO. A WHO-TDR handout circulated this week said this year TDR is commissioning three studies “to help to identify how to set up this new global fund for R&D and identify what is needed both financially and operationally.” These studies will inform a business plan to be developed in 2016. Incidentally, the Tufts numbers stand in contrast to the speedy and relatively inexpensive development of two likely vaccines against the Ebola virus developed in a few months to address that crisis in the past year. WHO members this week have been trying to learn from the Ebola response, but a senior WHO official indicated to Intellectual Property Watch that no changes to the broader medical R&D process were foreseen, only changes to emergency R&D. The second TDR study will be a consultation to determine the mandate of a TDR-based scientific working group. This group will involve independent scientific expertise, working on product profiles, proposals and evaluations. The concept of delinkage is part of the discussion, WHO said. “Delinking the R&D costs from final price to ensure affordability remains an overarching principle,” it said. 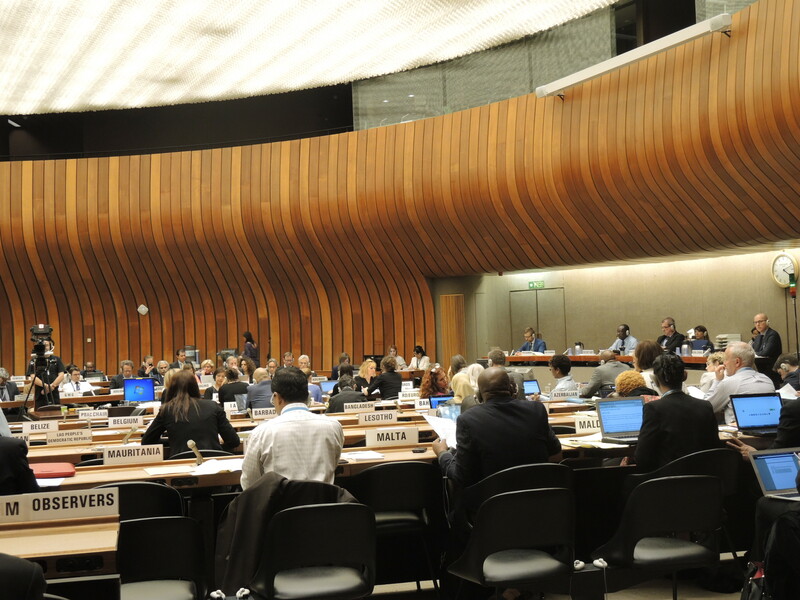 Most member states taking the floor in committee on 22 May said they favour the establishment of a pooled fund financially managed as proposed by WHO, underlining the need for transparency and member state management. They also supported the creation of the R&D observatory. They further called for financial contributions, including from low and middle-income countries. Some countries remarked on the need for the contributions to the fund to remain voluntary. The European region and others said resources from the pool funding should be allocated according to evidence-based R&D needs. Uruguay, on behalf of the Union of South American Nations (UNASUR) said the Ebola crisis and the lack of R&D has shown the limit of the IP system to generate necessary incentives when there is no attractive market. The delegate stressed alternative solutions, such as delinking the cost of R&D from the cost of medicines. Several member states asked that the open-ended member state working group as described in resolution 66.22 of the 2013 WHA be convened by the WHO secretariat soon, one asking for it in 2015. The WHA decision asks that the open-ended member state meeting be convened before the next WHA. Kieny said WHO will prepare a comprehensive report on CEWG strategic analysis in advance of the open-ended member state meeting, which WHO is mandated to convene before the next WHA. India said it had worked on a simplified classification grid to help with mapping of R&D needs in order to inform the observatory, for which Kieny said the WHO was grateful. Argentina remarked on the need for alternative financial mechanisms, which are not linked to commercial interests. Kieny said the updated information on the Global R&D Observatory will be found on the WHO website. Médecins Sans Frontières (MSF, Doctors without Borders) in in statement said Ebola, anti-microbial resistance and hepatitis C are “deadly reminders of the failure of the R&D system.” The group also said that more funding and subsidies combined with fewer regulatory requirements is not the solution. They called for a Global Biomedical R&D Fund and Mechanism for Innovations of Public Health Importance. The committee (called WHA Committee B) took note of the report of the secretariat. "WHO Advances R&D Financing Effort; Global R&D Observatory To Launch In January" by Intellectual Property Watch is licensed under a Creative Commons Attribution-NonCommercial-ShareAlike 4.0 International License.